With a hat tip to the sharp eyed commenter who pointed me to this. I don’t think this is getting as much play in the US media as it should, considering the scale. This footage was shot on board a Thai Army Bell Jet Ranger helicopter on 25 October 2011. They generally flew from central Bangkok near Victory Monument (not flooded) north over the Chao Phraya River (Main river going through Bangkok and threatening to flood it). They flew north to north west generally over Nonthaburi, Bang Bua Tong, Pathum Thani out to a remote village near Ayutthaya where they dropped relief supplies. Then they looped to the east slightly returning to Bangkok. Especially note flooded agricultural land, starting about 3 minutes in. Think Climate Change has no impact on you? Toyota says it’s shutting down its North American production tomorrow for one day and halting overtime at several U.S. plants. It’s because the automaker can’t get parts from Thailand. 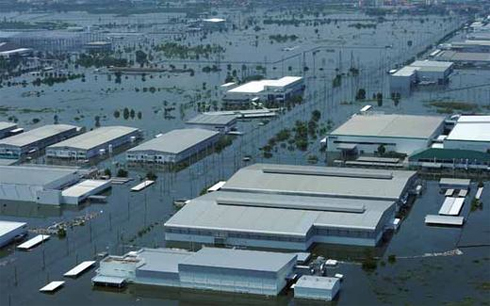 Thailand is a global car manufacturing hub, and deadly floods there are damaging carmakers’ facilities. Toyota’s plants in Thailand will be shut through the end of next week. Ford and GM have also suspended production. Honda delayed the release of a new model because it couldn’t get the necessary parts. Thailand is also one of the world’s largest producers of hard-disk drives and other computer parts. Sony, Canon and Toshiba are all experiencing production slowdowns. Apple says the flooding has also affected the supply of parts for its Mac computers. Toyota says it will suspend production at its assembly plants in Indiana, Kentucky and Ontario, Canada, along with an engine factory in West Virginia to cope with a shortage of parts, caused by flooding in Thailand. The parts shortage is beginning to affect global operations. It is said that about 100 kinds of parts are affected, including electronic items. TAIPEI, Oct 28 (Reuters) – Taiwan’s Acer Inc expects fourth quarter sales to fall as much as 10 percent from the previous three months and will raise prices as flooding in Thailand disrupts supplies of hard disk drives for PCs. The company told an investor conference on Friday that it hopes to see some improvement in the supply of hard disks in the first quarter of next year, but added that with prices for disks rising up to 20 percent, it needs to take action. The most damaging natural disaster in Thailand history is growing more serious, as the flood waters besieging the capital of Bangkok continue to overwhelm defenses and inundate the city. Heavy rains during September and October have led to extreme flooding that has killed 373 people and caused that nation’s most expensive natural disaster in history, with a cost now estimated at $6 billion. Thailand’s previous most expensive disaster was the $1.3 billion price tag of the November 27, 1993 flood, according to the Centre for Research on the Epidemiology of Disasters (CRED). Floodwaters have swamped fields and cities in a third of Thailand’s provinces, affected 9 million people, and damaged approximately 10% of the nation’s rice crop. Thailand is the world’s largest exporter of rice, so the disaster may put further upward pressure on world food prices, which are already at the highest levels since the late 1970s. Ocean temperatures in the waters surrounding Thailand during September and October have been approximately 0.3°C above average, which has increased rainfall amounts by putting more water vapor into the air. The remains of Tropical Storm Haitang and Typhoon Nesat also brought heavy rains in late September which contributed to the flooding. Thailand’s worst floods in more than a half century may have wiped out as much as 14 percent of paddy fields in the world’s biggest rice exporter, potentially erasing the predicted global glut. The Thai export price, a global benchmark, may climb 21 percent to $750 a metric ton by December, according to Sumeth Laomoraphorn, president of C.P. Intertrade Co., the country’s largest seller of packaged rice. Tropical storms inundated 62 of 77 provinces, destroying 1.4 million hectares (3.5 million acres) and as much as 7 million tons of crops, the government says. That equals 4.6 million tons of milled grain, 1 million more than the surplus expected by the U.S. Department of Agriculture. Rice, a staple for half the world, was already this year’s best-performing agricultural commodity after drought cut the U.S. harvest to the lowest level in 13 years. Prices also rose as Thailand started buying at above-market costs to boost farmer incomes. That is adding renewed pressure to global food prices monitored by the United Nations, which had dropped 5 percent from a record in February as other grains declined. Put down any hot liquids or sharp objects. Make sure shoulder harness is fastened. 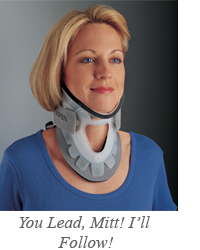 The intense G-forces induced during Mitt Romney’s switchback on Climate change may cause your airbag to deploy. The towers, according to the website of the designer Stefano Boeri are “a project for metropolitan reforestation that contributes to the regeneration of the environment and urban biodiversity without the implication of expanding the city upon the territory.” Each 27-story tower will house 900 trees including oaks and amelanchier as well as a wide range of shrubs and floral plants. Were this forest to be on land it would cover a little over six square miles. The towers will use the latest in green technologies including water reclamation, wind and solar. Beroni’s website says, “The diversity of the plants and their characteristics produce humidity, absorb CO2 and dust particles, [while] producing oxygen and protecting from radiation and acoustic pollution; [thus] improving the quality of living spaces and saving energy. A man eats McDonald’s for breakfast, lunch, and dinner every day for years and piles on the salt and drinks massive amounts of soda pop while sitting around all day watching TV, barely moving. He starts to get chest pains one day and he goes to the doctor. The doctor tells him that if he doesn’t start eating healthy, he could die of a heart attack. The man calls the doctor a “fear monger”. The doctor says that the science is out there and many people have died due to a poor diet and sedentary lifestyle. 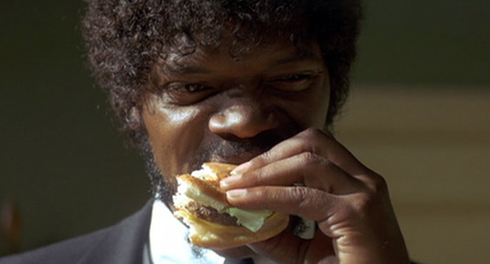 The man asks the doctor the precise number of burgers he can eat before he has a heart attack. “Is it 50 more burgers? 100 more? 500 more?” The doctor says that he can’t put a precise figure on it but if he cuts down on the bad eating habits and begin exercising, he will be able to avoid a heart attack caused by his lifestyle.